The state-owned UK bank has pre-announced a host of charges that will deplete capital and knock 2.5 bln stg off earnings. But RBS has a buffer. The closer it gets to addressing its main uncertainty – U.S. mortgage litigation – the closer dividends and reprivatisation will look. 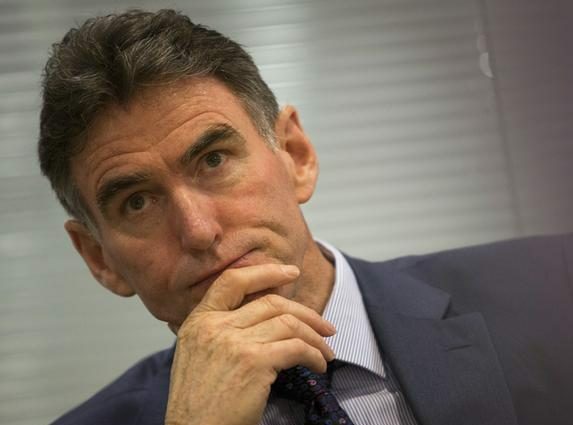 Royal Bank of Scotland chief executive Ross McEwan speaks during an interview with Reuters at Canary Wharf in London, Britain July 7, 2015. Royal Bank of Scotland on Jan. 27 said its fourth-quarter earnings would be affected by 2.5 billion pounds in litigation charges and a goodwill impairment. The state-owned UK bank also will see its common equity Tier 1 ratio depleted by 1.6 percentage points, as a result of the legal provisions and costs to de-risk its pension. RBS said these hits would leave its CET1 ratio at about 15 percent as of Dec. 31. It said it would take a 1.6 billion pound pension accounting hit, 1.5 billion pounds in legal provisions relating to residential mortgage-backed securities in the United States and 500 million pounds in fresh litigation provisions for mis-sold payment protection insurance. RBS is taking a 498 million pound goodwill writedown on its private banking business after impairment testing. Shares in RBS stood at 254 pence by 0912 GMT, down 2.4 percent from the previous day’s close.